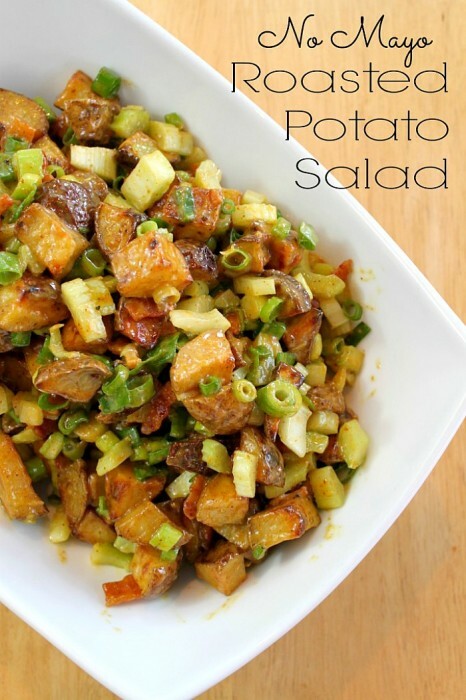 Bacon-y goodness aside, this potato salad is bursting with flavor and since it doesn’t call for mayo, there’s no need to worry about refrigeration! Yay! Let’s get started, shall we?! Cook the bacon pieces until crispy and remove from pan. 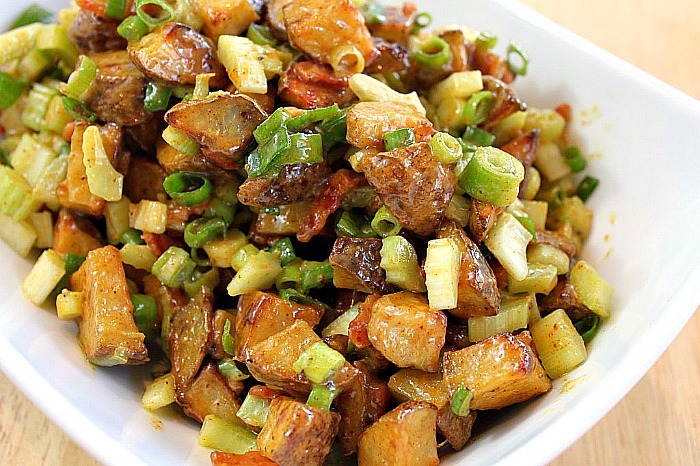 Toss the chopped potatoes in bacon fat and sprinkle with 1/2 half of the bbq rub. Meanwhile, whisk the rest of the bbq rub, vinegar, olive oil, mustard and honey together until combined. Refrigerate until potatoes are cooked. Wow, all that salad is missing is CHICKEN! 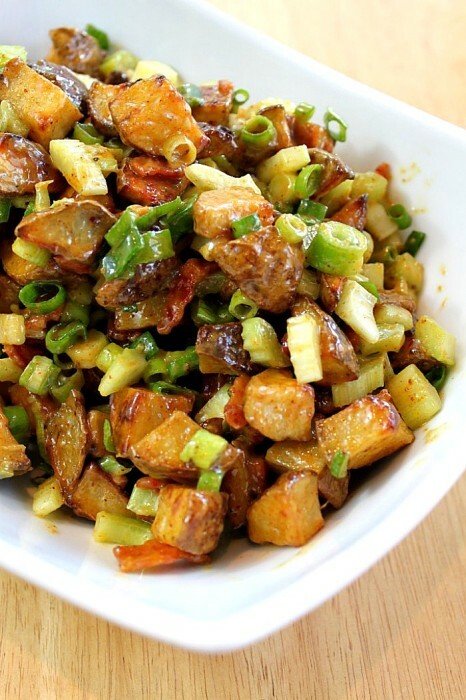 I would cut up slices of boneless chicken, marinate them on that same dressing, and grill or saute them, tossing in the celery and scallions and mixing the whole thing with the potatoes!